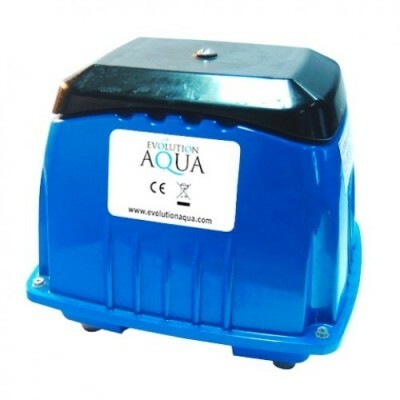 The Evolution Aqua AirPump 95 provides a powerful and reliable air pump with low energy consumption from the leading brand in pond technology. With an impressive output of 95 litres per minute and a maximum pumping depth of 4.35m the Evolution Aqua AirPump 95 provides a high performance diaphragm air pump to suit a range of fish keeping requirements. EA AirPumps have been tested and proven to provide the highest output at any given depth, to be economical to run and totally reliable. They are well engineered, robust and durable with each unit including thermal protection fitted as standard. The EA AirPump range is also suited to outdoor use.